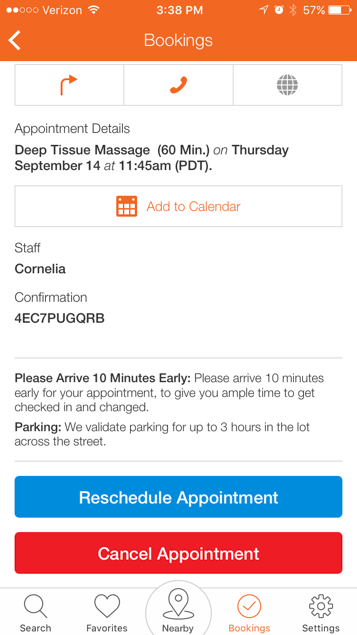 You can let customers cancel their appointment themselves. Head to the Settings section (gear icon at the top right of the screen) and select Online cancellations to set up this feature. 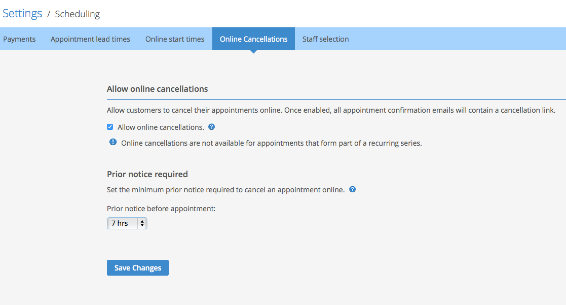 You can enable online cancellations and set a deadline for how late before an appointment they can cancel. This can be as little as one hour or as much as five days. 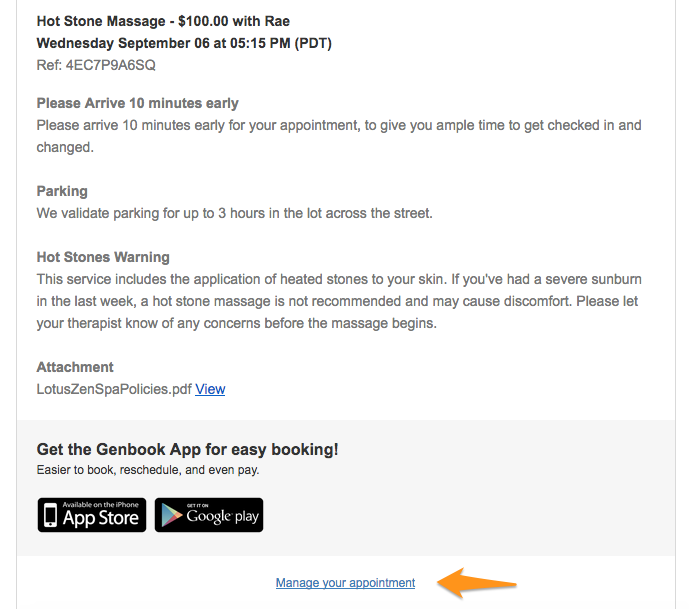 Customers will see a "manage my appointment" link in their confirmation emails, which they can click to cancel the appointment. When they click that link, they'll be taken to a screen where they'll have the option to cancel and book again. 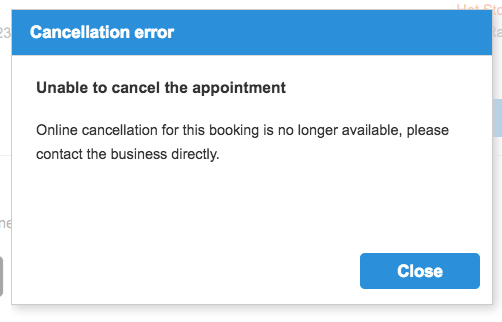 Or, they can cancel from the appointment details on their Genbook app, where they also have the option to reschedule instead of cancelling and rebooking. Customers can cancel their appointments provided the cancellation deadline hasn't passed. You then receive an email notification (if you have the feature enabled) that the customer has cancelled. The time slot they were taking up becomes available for others to book. If a customer tries to cancel with less than the minimum required notice period, they’ll see a screen advising them they can no longer cancel online and must call you if they really can’t make it to their appointment. Most Genbook businesses use this feature — it’s just another way Genbook saves you time and frees you up to focus on what you do best!